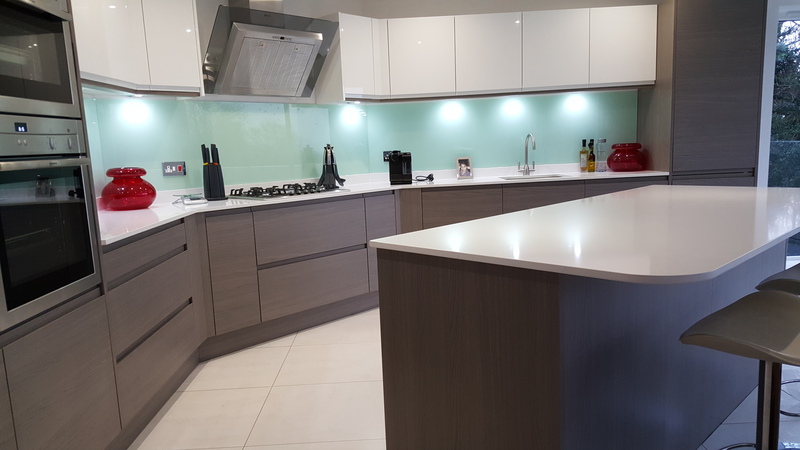 A Luxury Burbidge kitchen in Poole. 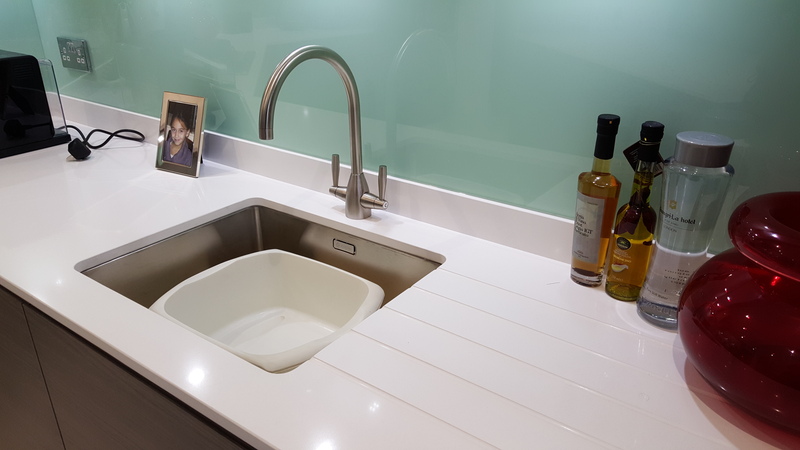 Featuring a Burbidge Isala Warm Grey Oak handleless door and Quartz worktop. 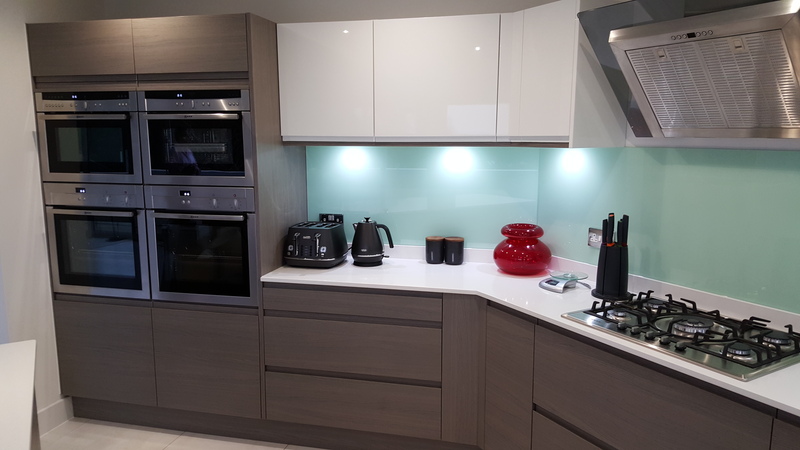 This handleless kitchen is the definition of modern. 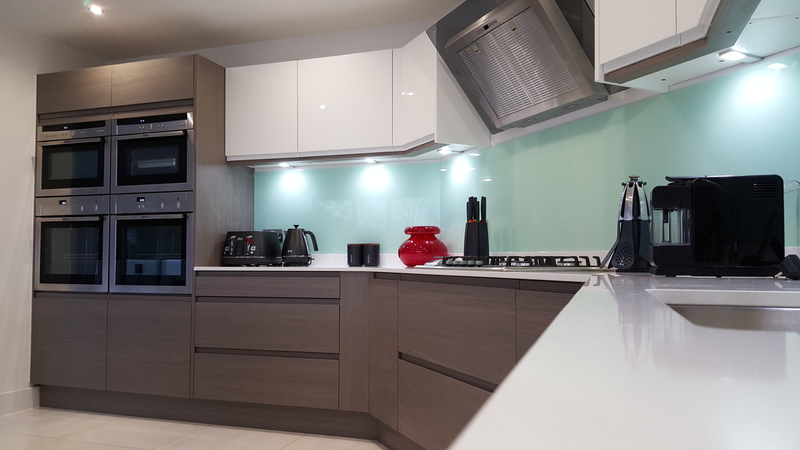 The handleless doors give a clean, streamlined look and the colour sets off the white worktops perfectly. 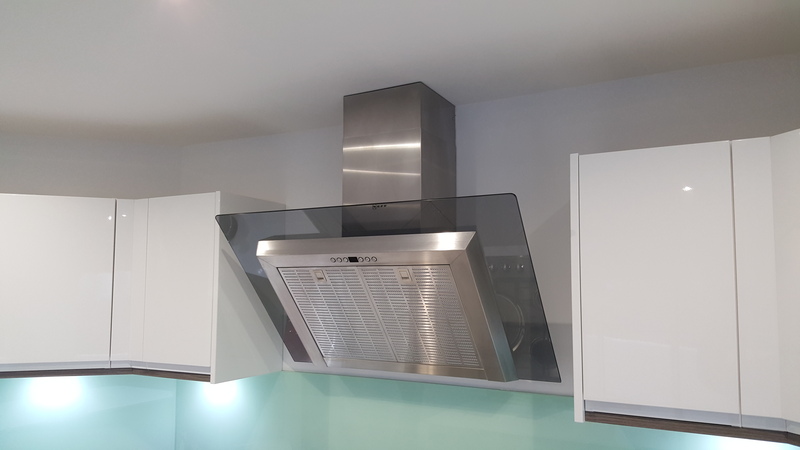 The kitchen had NEFF appliances throughout including 2 single ovens as well as the latest steam oven and a combi microwave and grill. 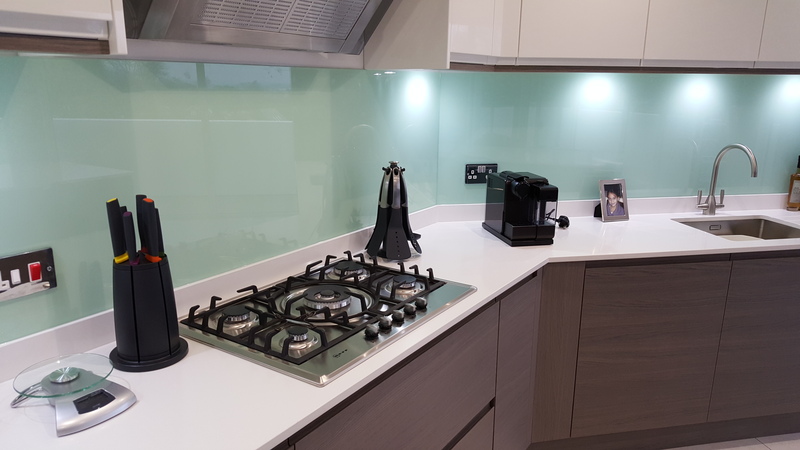 The turquoise splashback gives this kitchen a pop of colour and allows a bright tone to run throughout. The breakfast bar adds extra workspaces and gives the kitchen a focal point. This kitchen is perfect for today’s modern family. 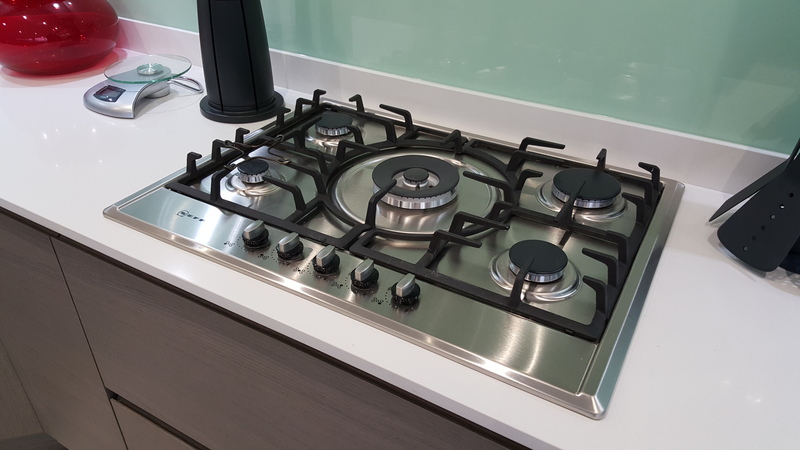 If you would like to discuss your kitchen requirements please get in touch.